Building up an IT company from scratch and that too from a semi urban city can result in various challenges and many problems but Mr. Mauly never backed out, He keeps facing all these challenges head on and kept working to bring this company to its current position. He is not unknown to failures and faced them many times in his career but he likes to see good things in adverse conditions, this and the his trust towards his team mates is what kept him going after all those failures. It’s not like Mr. Mauly is a complete workaholic he have many hobbies, and he is never afraid to try new things. He is a voracious reader and he also likes activities that cause physical strain like trekking. He have a vision that the work Force does, can benefit SMEs in every region of the world. 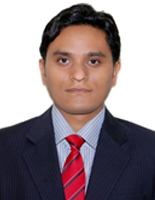 Mr. Sandeep Gahoi is the head consultant of Force. 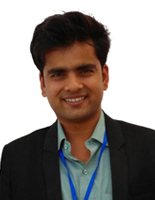 He is a post graduate in commerce and is in this field for more than 15 years now. He also watches company’s finances and make sure that company don’t land into any financial trouble so that other team mates can completely focus on the product without worrying about money. 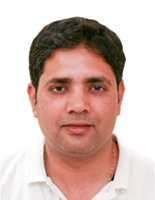 He is most sought out person by finance, administration and development team. The job that he does comes with a lot of pressure but you need your mind calm while consulting and we all need things to calm us down. Mr. Sandeep likes to listen to music to keep himself calm. 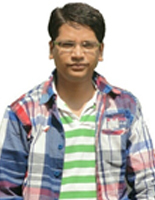 He also likes sports especially table tennis, he was infact a state level table tennis player as well. He is in the product development department. The challenges that this job has are completely unpredictable, you have to be creative and innovative to do this job and this is where Alok comes in, He always try new ways to make the product better and his ingenuity has helped alot in getting force to where we are today. He believes team work is the key for good results hence he is a good team player. He likes to keep himself updated of new technology and process, when he is not working he loves to hang out with his friends. 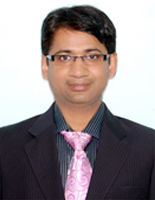 “A task master, who loves to give answer to challenge by his work”, this is how you can define Mr. Akhil Gorey. He is a firm believer that success requires a huge amount of hardship too and that’s how he have achieved everything in his life. Apart from work he likes to go on long drives, sometimes alone when he have things to think about and sometimes with friends for fun. He also loves music of different genres and loves to play with kids to put his mind into ease. The qualities that makes Ravish unique is his jolly personality and the ability to keep his head cool under conditions that can make other people sweat. 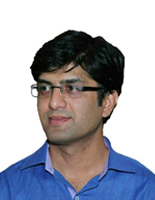 Ravish leads the ERP business vertical of force-. Due to his cool head he can handle tough jobs easily and this is why his team mates tend to rely on him every now and then. Apart from work he is a sports enthusiast and plays a variety of sports, whenever he gets chance he loves hanging out with his friends, he says that helps him letting go of all his worries. 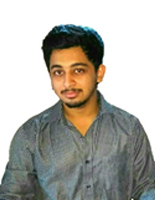 There are a lot of things that separate Sagar from the group, he likes to take initiative whenever needed, he works hard in understanding customer needs and works towards fulfilling them, he always try to find new ways to increase customer satisfaction and ensure better product delivery and also he is the tallest in the group. He is a tech geek and likes to keep himself updated with the latest technology he is also kind of wanderlust and likes to travel to new places. In his free time he likes to play carom and takes pleasure in winning the game. 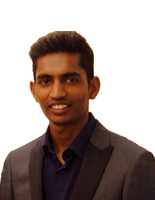 Roopak is the marketing executive of Force he takes his tasks seriously and is focused towards his work, and believes smart work is just as important as hard work. He never gets afraid of new challenges and believes trying is important and failure also have its benefits. Talking about him in general, he is a health nut and keeps taking on physical challenges to keep himself healthy. He likes to gym, swim and play football he also likes to listen to music, watch movies, hang out and go on long trips with his friends.